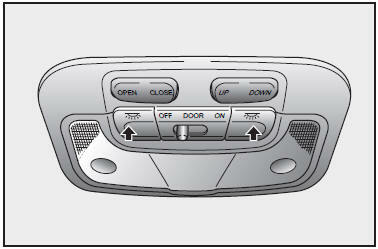 DOOR - The driver’s side light turns ON when the door opens and light turns OFF when the door closes. ON - The light turns ON and stays ON position even when the doors are all closed. The map lights are switched ON or OFF by pressing the corresponding switches.